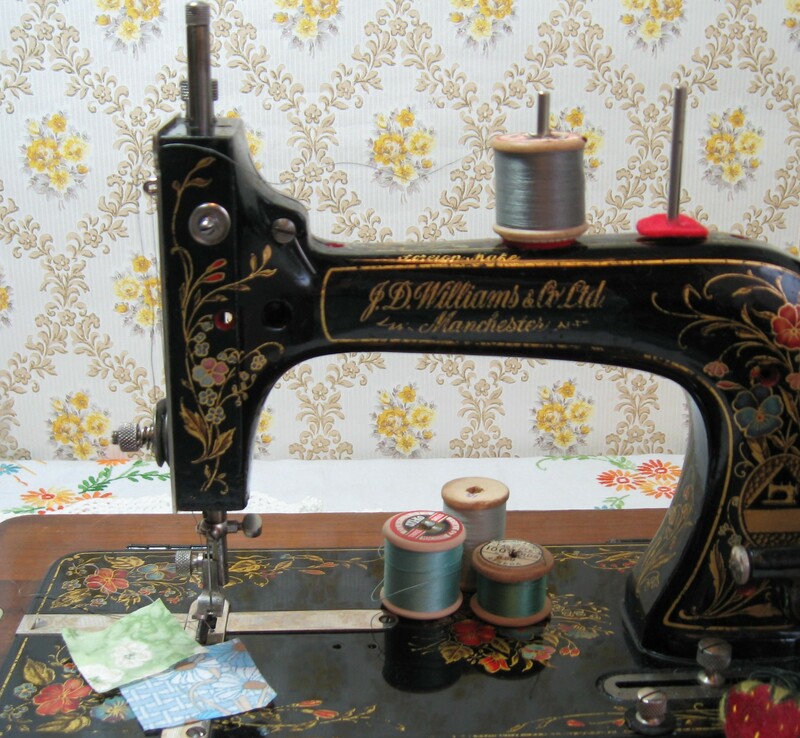 For most everyday (and non patchwork) sewing I use a Bernina 1008 which is a fantastic sewing machine, but it doesn’t have a place in my heart like Dorothy. 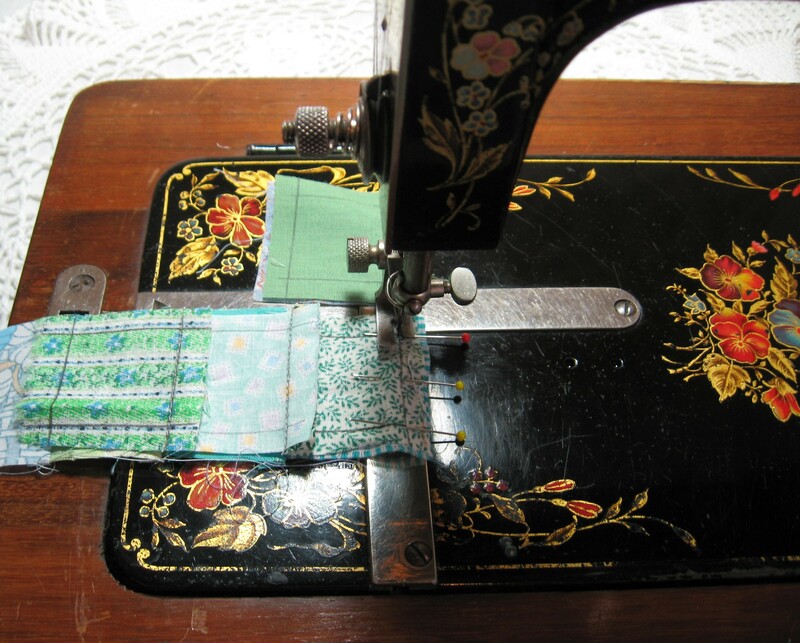 Dorothy is a hand machine with a lovely creamy porcelain handle, she has a shuttle bobbin and still sews beautifully, but it’s now becoming harder and harder to find needles to fit her so as much as I love to sew on this machine, she’s now used a lot less frequently. 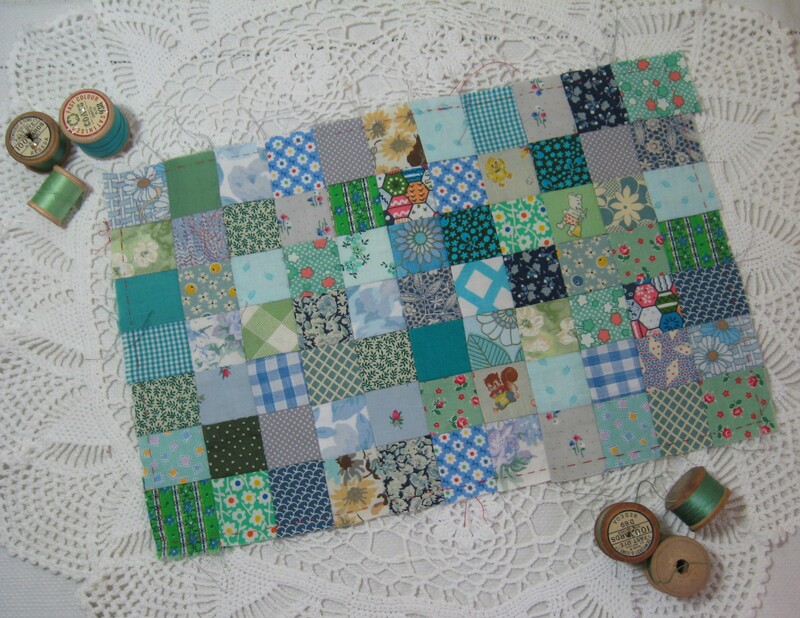 Here she is in action….the squares are sewn together in strips which then get joined together. 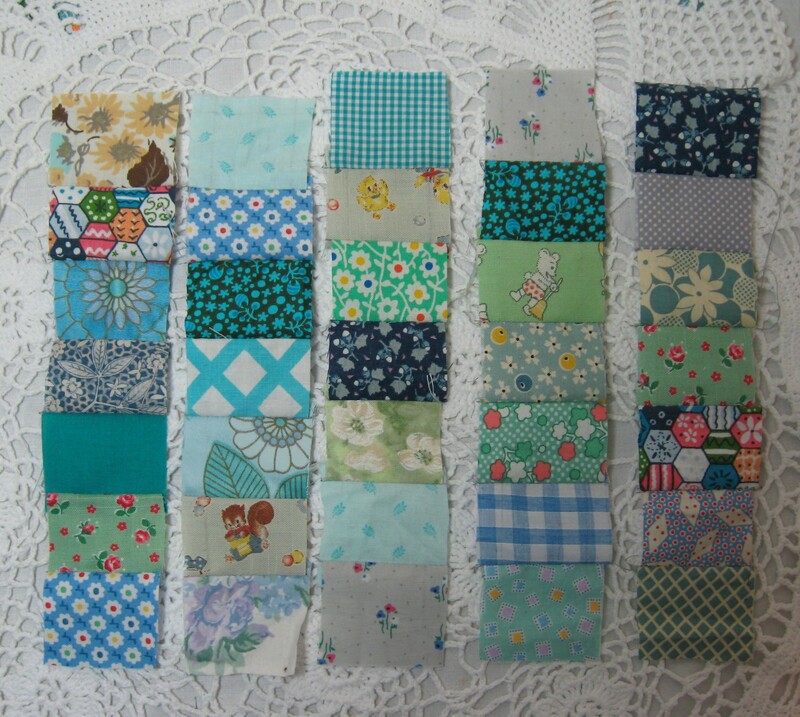 These are some of the finished strips of patchwork. You can see the importance of fussy cutting the squirrel and green mouse fabric, where as some of the larger floral prints work fine with just sections of the flower being shown. 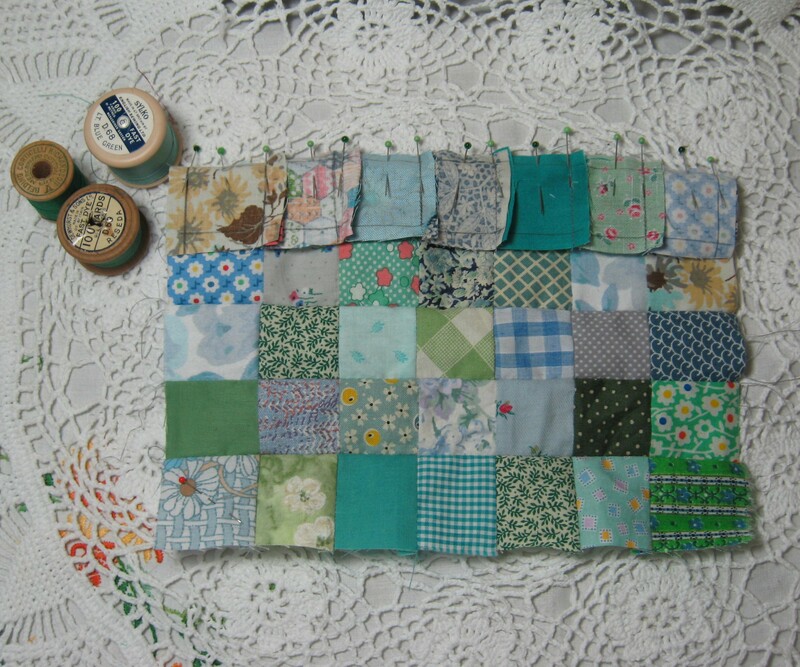 Once your strips are all sewn, you then need to join them to each other. To make the joins as neat as possible you want to push the seams in one direction for the first row, and then in the opposite direction for the joining row. 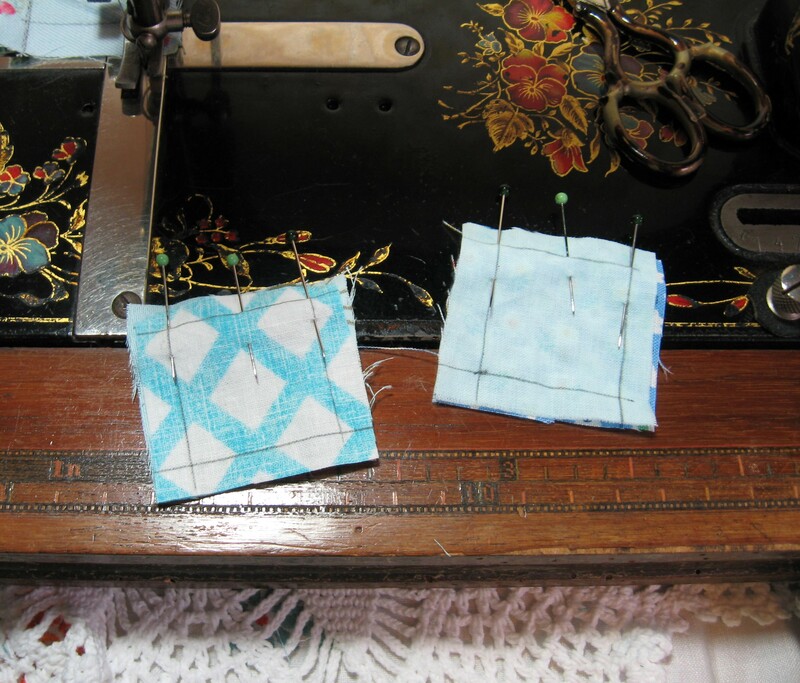 I find pinning the corners of each square first, and then putting a pin in the centre of each square helps to keep my joins a little bit neater. After joining the strips together I press the patchwork flat, then I’ve sewn in red thread where the seam allowance is, this way when I’m sewing the layers together I can see how much wiggle room I have. 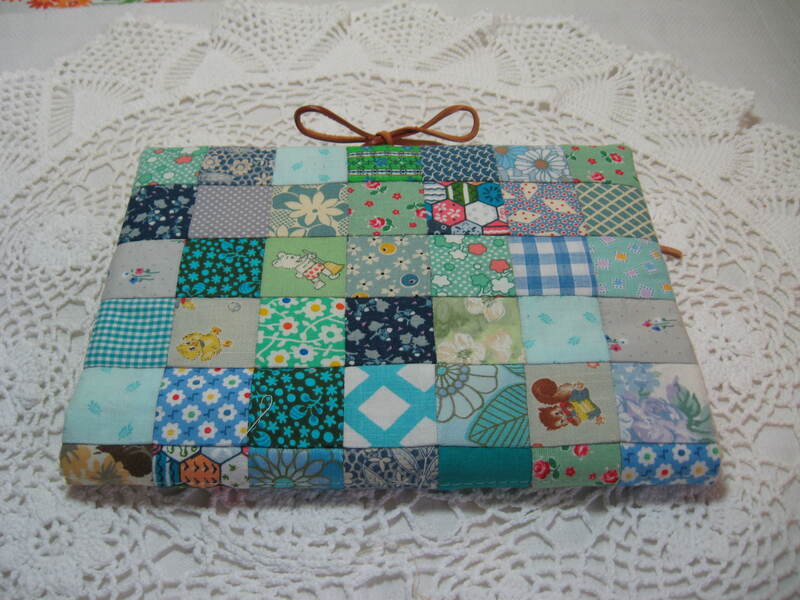 I’ve used this patchwork to make a notebook cover, so once the patchwork was sewn I then had to cut out fabric for the lining and a piece of cotton wadding so that the cover would feel slightly puffy. To sew all the parts of the notebook cover together I went back and used the Bernina as it was quite fat and Dorothy doesn’t cope too well with girth. 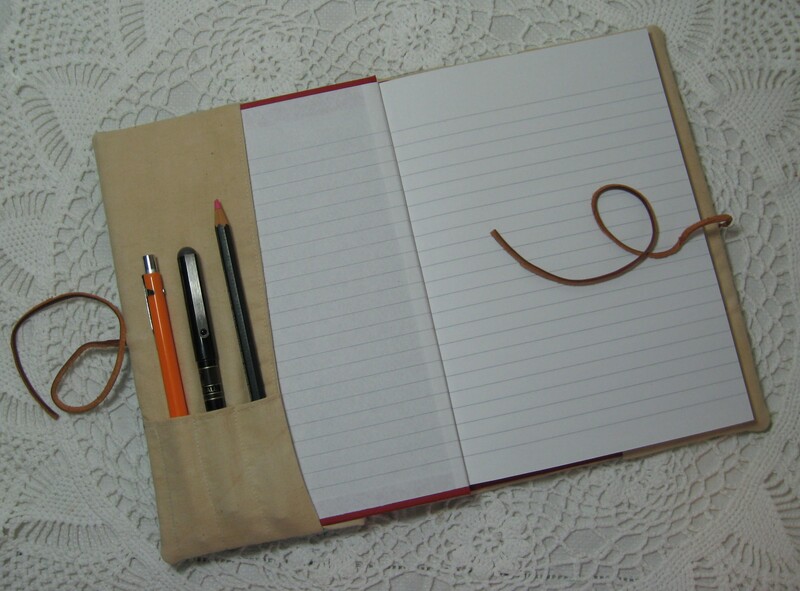 I added a little extra fabric at the front to make a pocket for pens. 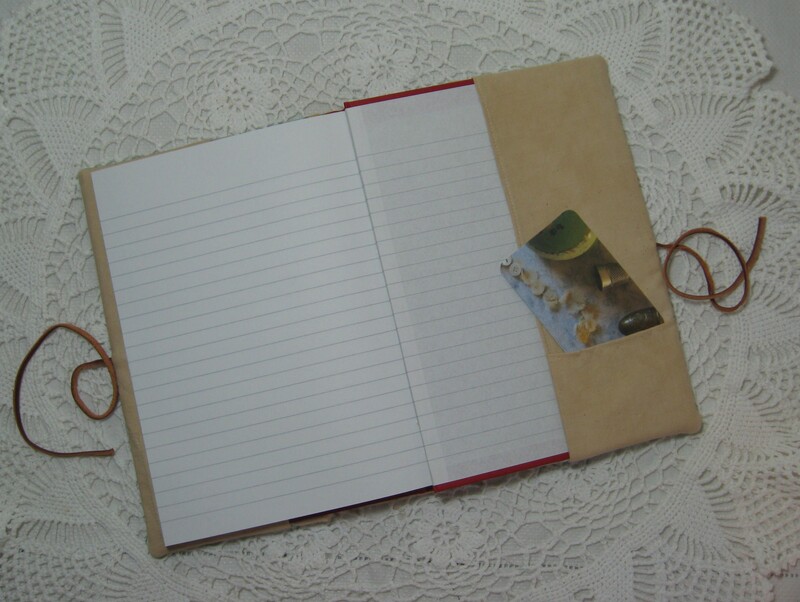 And made a small pocket at the back for business cards or for books of stamps. The middle row of squares makes up the spine and I sewed a line of slightly larger stitches down this to give the book cover a little more structure. I’m hoping to make some more of these up over the next few days to put into my folksy shop.